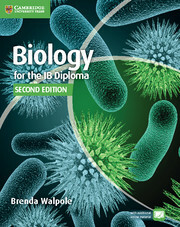 This Biology for the IB Diploma Workbook is for students studying for the IB Biology syllabus, for examination from 2016. Easy to navigate chapters build learning in a gradual way, outlining key terms and concepts before providing opportunities for students to apply their knowledge to practice questions. 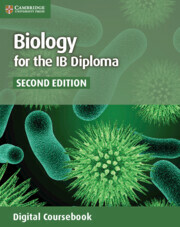 Each chapter concludes with exam-style questions, helping students to prepare for assessment. This structured chapter approach of define, practise and apply builds students' confidence with practical scientific skills, such as handling and interpreting data, evaluating information and problem solving. 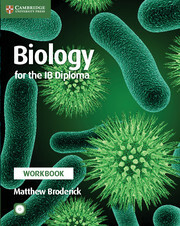 Answers to all of the workbook exercises are on the CD-ROM. 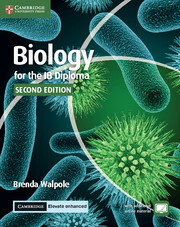 Exam-style questions at the end of chapters provide useful practice and help build students’ confidence with the course. The workbook contains unseen practice exercises that provide students with opportunities to develop their skills. The structured chapter approach of 'define, practise and apply' promotes independent and critical thinking in new scenarios. The workbook develops important scientific skills of handling and interpreting data, evaluating information and problem solving. 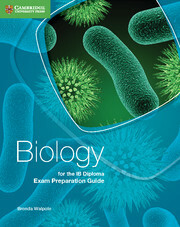 Answers to all of the exercises in the workbook are on the CD-ROM.